For many of us, designing a PowerPoint presentation is a very tough process involving many technical as well as aesthetic aspects. In fact, those who are not very good at presentation designing can make use of pre-formatted PowerPoint templates. PowerPoint themes eliminate the requirement of pre-requisites like Photoshop and illustration skills, while at the same time give ample scope for customization of the content and design elements for better results. When you are short of time or have limited budget, design templates like PowerPoint presentation templates are the best option for you. If you can create PowerPoint presentations based on pre-formatted PowerPoint templates, no doubt, it would be much more professional and easier to create. Indeed, PowerPoint presentation templates like other design templates allow you to work on their pre-formatted layouts as laymen. Usually, marketers, teachers and business people maintain a set of various design templates. When seasoned marketers, teachers and business people have new marketing requirements at hand, they make the required changes within available templates. Once you have decided on a particular PowerPoint template you can make changes in the content and customize the layout. In fact, you will love the flexibility and ease during the creation of PowerPoint presentations with the aid of presentation templates. It reduces the cost of coming up with a professional PowerPoint presentations. This way, you needn’t start your presentation from scratch, as you possess the layout to work on. Customizing a PowerPoint template plays a major role in preparing a unique and effective presentation. 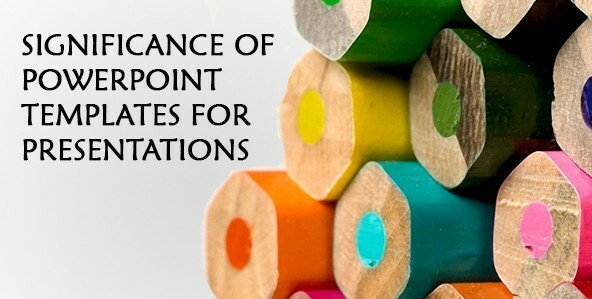 It is always a wise idea to use different PowerPoint themes for different PowerPoint presentations to keep them all unique. In fact, a wise presenter tends to use different PowerPoint themes for similar topics. One of the most important highlight of using PowerPoint templates is that they give essential options for the effective implementation of style elements. It helps you keep your presentations unique and professional. A good presenter must know that an effective PowerPoint presentation is one that includes aesthetic enhancements. You can make use of either free PowerPoint templates or premium business PowerPoint templates. PowerPoint templates like other design templates come with a user license. In the case of paid templates, you have a claim over its design. Select templates that give you the economy of extended uses and privileges of professional presentations.